The Lindy Hop was born during the height of the swing dance movement in the 1920s and 1930s. Despite the Great Depression, many young Americans found an outlet in the swing dance clubs of Harlem, New York. The most famous of these clubs was The Savoy. Here, dancers would often participate in dance marathons, often lasting days. After one particular marathon (which lasted so long, the police came to shut it down out of public health concerns), journalists asked one dancer what he called the step he was performing. 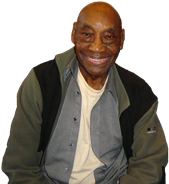 The man, "Shorty" George Snowden, replied "The Lindy Hop". Lindy Hop would continue to grow throughout the 1930s and 1940s with the help of pioneers such as Frankie Manning. 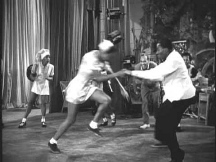 The big bands of the time also had a major influence on the dance styles, and vice versa. Often, during the aforementioned dance marathons, dancers and band leaders would feed off of one another in an improvisational frenzy. The dance fell out of favor after World War II, and was largely dormant for several decades. Swing dance in general, including Lindy Hop, made a comeback in the late 80s and 90s. Today, Lindy Hop is enjoying renewed popularity thanks in part to a new crop of amazing dancers.